NEW CONSTRUCTION WITH A 3 CAR GARAGE. 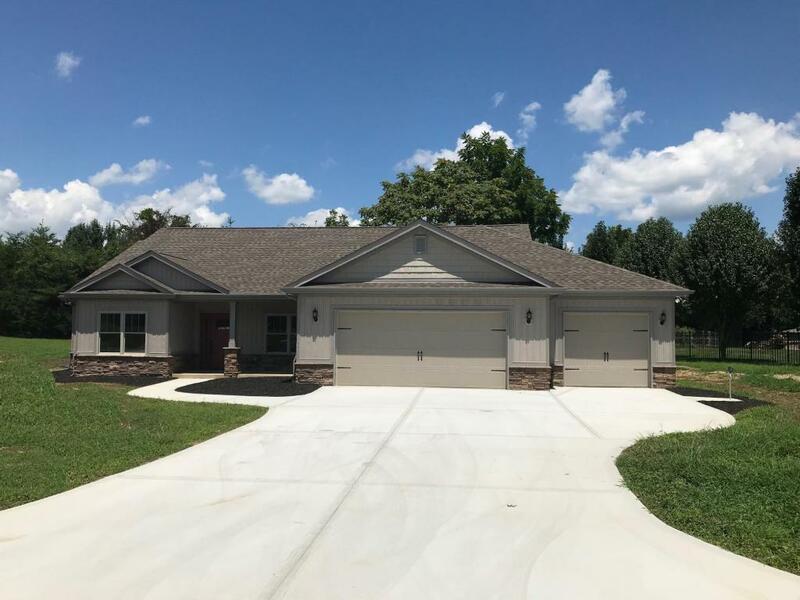 This craftsman style home with one level living has a much desired three car garage. The home features four bedrooms, hardwood floors in main living areas, quartz counter-tops, stainless steel slate appliances, a large walk-in tiled shower, a walk-in closet and so much more. A spacious open floor plan affords you the opportunity to entertain in style while enjoying your guests. The fourth bedroom can be designed as your private office, the choice is yours. Why go through the tedious process of building? There is a high pressure hydrant for car washing. Seller will sod the front yard if weather permits. Located in the active community of Kahite, a Tellico Village Community.